The following article appeared in Newsweek on November 13, 1978 in the Music section. I saved it not just for the Rust Never Sleeps Tour memories but because it's got some good Neil interview comments, as well as interesting general background content. If you don't want it posted in it's entirety please let me know. Thanks to Mood Code for providing the excellent Stone Ridge tapes as background music for me while I type this article. Neil Young wants to put rock in a grand perspective. His show begins with a recording of Jimi Hendrix's screeching version of "The Star Spangled Banner," followed by the Beatles' "A Day In The Life." Then Young himself appears---atop a huge mock amplifier at the back of the stage. He begins with a 40-minute-long acoustic set, wandering about the stage with a cordless microphone, accompanying himself on guitar. Intermission is marked by eerie tape announcements from the 1969 Woodstock festival. When Young reappears, it is for a deafening hour-long electric set with his longtime backup band Crazy Horse: rock'n'roll at it's most primal and powerful. The effect is at once nostalgic, sobering and celebratory: Young is paying homage both to staying young and moving on. When he says simply, "It's about American rock'n'roll, the whole trip, not just a stage show but a history of shows," he is not being presumptuous. Except perhaps for Bob Dylan, Neil Young at 32, is the most consistently compelling figure in American rock; certainly no one else has covered so much musical ground---folk, country and rock---with such originality. His songs are deceptively uncomplicated: stark, crisp guitar work(he is even more primitive at the piano); evocative, cryptic lyrics; a nasal, wistful, thoroughly distinctive voice that either grates or mesmerizes. His sound is easy to imitate; his spirit is not. Whether he is singing sweetly about love gone awry or angrily about a friend's death, brutally loud or quietly tender, Young aims straight for the heart. Just now, he is in a summing-up mood. It began last year with the release of "Decade," a three-album retrospective of his work that showed just how much of it there is, and included a rare bonus: pithy autobiographical reflections in the form of handwritten liner notes. The tour itself---Young has just finished playing 25 of the country's largest arenas and may shortly resume performing---is an uncommon reaching out; Young usually opts for more intimate settings. And now there is the release of "Comes A Time," his first clearly commercial album since 1972's "Harvest." In just a month, it has outsold each of his six intervening solo albums. "It came out outward, clean and appealing," he explains. "It's the first record I've released where I'm actually facing the audience on the jacket and smiling. I think of it as a presentation you would make of yourself if you wanted to open the door to further conversations." He chuckles; Young is well aware of his reputation as a recluse and a perpetual bad boy---the sort who used to cut concerts short after 40 minutes when the audience made too much noise. So when he finally agrees to an interview, you expect the worst. As usual, he defies expectation. Far from a snarling, spacey loner, he turns out to be warm, wry, relaxed and congenial. "I don't mind getting recognized for what I've done and I like when people ask me to do interviews," he explains. "But what's hard for them to understand is that it's really not advantageous for me to do them. "I don't want to be there. I'd rather be noted for my absence." Certainly his work speaks for itself. First as a member of Buffalo Springfield, the brilliant California folk-rock band that he joined in 1966 (after moving to Los Angeles from Canada) and then as a fourth member of Crosby, Stills and Nash. (Note: This is Newsweek's mistake, not mine. But I prefer to remain true to the article and not make my own changes. I'm sure there are more.) Young was a pivotal figure in the musical ferment of the late 1960's. He made his mark with "Everybody Knows This Is Nowhere," a melody-rich hard-rock album recorded with Crazy Horse in 1969. A year later, he reversed field with the gentle, introspective "After The Gold Rush." "Harvest," the country-tinged follow-up, included the only No.1 single of Young's career, "Heart Of Gold." His typically perverse reaction to that success is included in the liner notes for "Decade": This song put me in the middle of the road. Traveling there soon became a bore so I headed for the ditch. A rougher ride but I saw more interesting people there." Just as mainstream rock was softening at the edges, Young began turning out a series of bleary, muddy-sounding, technically primitive albums. Most extreme was "Tonight's The Night," recorded soon after "Harvest" but not released until 1975. Inspired by the drug overdoses of two friends, including Crazy Horse guitarist Danny Whitten, the album is a depressing tribute---out of tune and repetitive, but hauntingly memorable. It is also Young's favorite album. "When I handed it to Warner's, they hated it," he says, grinning. "We played it ten times as loud as they usually play things and it was awful. I mean, can you imagine listening to it at 1:00 in the afternoon in some corporate office? Well, I wasn't trying to make a masterpiece. I was trying to capture a moment. I didn't want to clean it up. I don't want the Carpenters to play "Tonight's The Night." 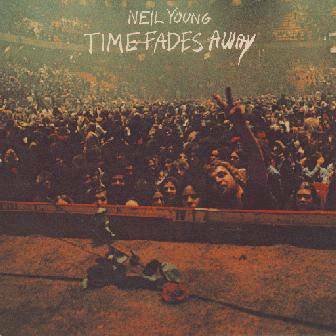 That intense urgency can be heard even in Young's mellower, more polished albums, including "Harvest," "After The Gold Rush" and, now "Comes A Time." "Folk music can be as authentic as rock'n'roll," he says. "It's the in-between that bothers me. Soul and depth matter most. After five or six albums going in one direction, my feelings demanded that I really craft an album." Forty musicians played on "Comes A Time," ten engineers had a hand in it and it was recorded in six different studios. Young took three months just to decide on the sequencing and then delayed the release several months because he wasn't satisfied with the first pressing of 200,000 albums. "Musically, I get crazy when it's not right," he says. "The record company said, 'Fine, we'll redo it, and we'll mix the first 200,000 in with the rest later.' I said no, but to make sure I bought all the faulty records back." It cost him $200,000. "People say I'm crazy, but that's OK. Now I'm happy with the album." He should be; it's a confident, full bodied work, rich with exuberant melodies and wry touches("Let me bore you with the story/How my lover let me down"). "The album doesn't forget those things that are sad about love," says Young, "but it doesn't dwell on them either. To me it's more about travel. I traveled a lot when I was recording it, and it's about not stopping, not giving up, keeping going." That's the message of this tour, too. "Our motto is 'Rust Never Sleeps.' The thing is to constantly fight the decay that is going on. When I play the Woodstock announcements, I want the audience to be aware that something really did happen, that we started something back then. Musically the promise of the '60s was that we were going to put out. Now, most of the people who were really capable of delivering are just rusting out. I'm saying, don't do your greatest hits. That's digging your grave and jumping in." To drive his point home in concert, Young introduces one new song---a tribute to punk rock---at the end of his acoustic set and then repeats it in an electric version. Oh, ho, hi, hi, rock'n'roll will never die. The king is gone but not forgotten. This is the story of Johnny Rotten... It's better to burn out than to fade away. "There's nothing underground or rebellious about rock anymore," says Young. "That's why I dig the punks. What's healthy about them is they know it will piss off the Eagles. It's so healthy to take potshots at music that's supposed to be anti-Establishment and isn't anymore. I've always felt that I could rise above everything with music. It's getting off on what you do best." So Neil Young keeps moving. He recently married a second time, and he and his wife, Peggy, divide their time between the 75-foot Baltic Trader he rebuilt last year and docks off Fort Lauderdale, a lavishly equipped, wood paneled Trailways bus that he lives in when he's on the road, and his 1,200-acre ranch outside San Francisco. Wherever Young goes he remains extraordinarily prolific. In little more than a decade, he has released twelve solo albums and collaborated on seven others. In addition, he estimates he has enough recorded but unreleased material for several more albums. He is also at work on a second feature-length film(the first was "Journey Through The Past" in 1972) that he calls "a musical comedy with black moments." I hear some people been talkin' me down... I can't tell them how to feel. Some get strong, some get strange. Sooner or later it all gets real. More on Bob Dylan and Neil Young's music, styles and career changes. Also, more on Rust Never Sleeps album, film and concert tour.